- Bella's skin now a bit darker. - Changed eye contacts and color - now she got hazel eyes. This time I choose to upload my TS3 version of famous Bella Goth. "Bella - her name in Italian means "beauty" and it fits her better than her red leather corset. Descended from a long line of occultists, mystics and decadents, she has thrown convention to the wind. Her disdain for the pedestrian and normal is only matched by her sense of ennui and isolation. She distracts herself from this world with a little organ practice and exotic gardenings of the lethal variety." Bella Goth (n�e Bachelor) is one of the most popular sim shipped with The Sims series games. Bella is daughter of Jocasta Bachelor and Simis Bachelor, also have older brother Michael Bachelor. In Sims games, she lives with her husband, Mortimer Goth, her daughter, Cassandra Goth and son, Alexander Goth (The Sims2) in Goth mansion. 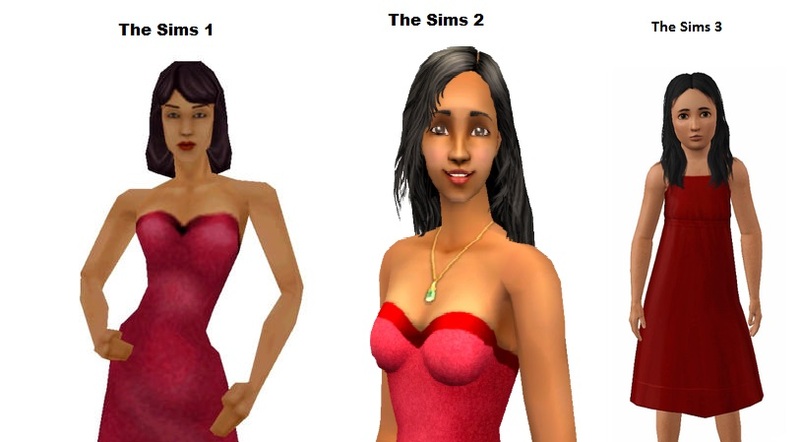 She appeared in The Sims1,The Sims Bustin' Out,The Sims2,The Sims3 and The Sims Social. Other clothes and accesories are from Base game,Late Night,Showtime EP's,Master Suite Stuff.